When I pulled up to the place, I had noticed how adorable the neighborhood was. An old working class neighborhood from a time when families with children, once lived. Some were typical depression era bungalows. 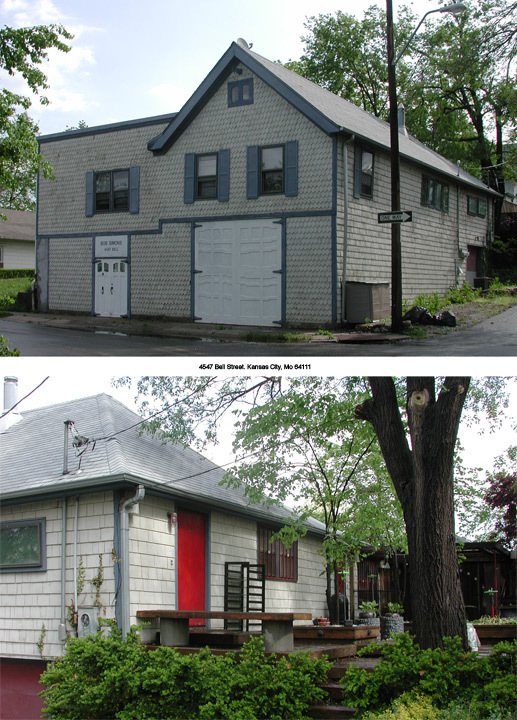 Many still display the original ornamental trim and stone masonry foundations and porch pillars. An occasional leaded glass door with frosted etching to greet guests, all reminded me of that “Mayberry,” small town charm. However, not a child to be seen, not a toy in a yard, or a child’s bike on the porch. I haven’t had to buy Halloween candy, since I moved in 5 years ago. The residents have lived in their homes and this neighborhood for a life span, their children grown and moved on, only an occasional Jehovah Witness, if visitors at all. As the properties become available, the homes have been converted into rental properties, apartments, and the type of commercial properties that sell antiques, hot coffee, beauty shops, pet groomers, and law offices. A murder took place in the street. The large, vividly colored, Victorian house on the far opposite corner to the trading post, stands empty, it has been used as a restaurant, but nothing has survived since the murder-suicide, of a couple of guys, that once owned it and made all the beautiful renovations. The bodies of three males, dead in the middle of the street, outside the magnificant home, after a domestic dispute. Apparently, the resturant owner came home to see that his partner had remodeled the entry hall, with a plum colored wallpaper, without his consent. A fight broke out between the two, which escalated. As one fellow went running for his life into the street, he was shot by his partner, however right behind the shooter was the kitchen cook, who was having an affair with the man fatally wounded. With another shot fired, the cook killed the interior designer, realizing what he had done, he took his own life. (I apologize, if offensive). Another notorious murderer, from this neighborhood is that of, Bob Berdella (human heads were found in his backyard after a brutally tortured, young naked man escaped). My dad, who loved to go shopping on Saturday mornings, almost bought one of the human heads that Berdella had for sale at the Flea Market Bar and Grill on Westport Road. Too gruesome. Its stories like that, that can shame a neighborhood. But, you wouldn’t know that from the large colorful banners, honoring KU, K-State, and MU, that drape from porch railings and attic windows. College territory has replaced the frontier. It would appear that the median age of the residents, are 28 years old. Bob and I feel old. Guys in their 20’s own their own home in this neighborhood (and they take in numerous roommates.) Some rent, others inherited the house they live in. Lucky kids.They are artist, musicians, and tavern owner, lawyers, doctors, and teachers. Late at night, when sound travels, you can’t walk past more than three houses without hearing a full live band, practicing in a basement or garage. The artist, have their works displayed everywhere, it’s a beautiful place, if you have an eye. As I came into view of the pre-civil war tavern that Bat Masterson, Doc Holliday, and other pioneer figures are said to have been, I could easily imagine the rambling frame structure to hold ghosts of the past. However, the illusions of taking a trip back in time disappeared when I entered through the double doors of Bob’s modern law office. The interior has been completely redesigned. A reporter for the “KC Counselor,” described his visit, as “startling.” I agree, stepping into the historic building requires a mental transition. It is a feast for the eyes. Few would have seen the possibilities, much less a comfortable habitat. The ancient structure’s lower level was once a dirt floor dance hall, and the sagging rooms defy a carpenter’s level. The entry has a wall to wall bookcase, stacked to the ceiling with a library of books, albums, and music and golf memorabilia. To the right is an iron staircase that ascends into a narrow opening. In front of the bookcase, an antique (19th Century) commercial, glass display cabinet, made of oak, the type once found at the jewelry or drug store, with green felt lining in all the pull out drawers in back of the case. 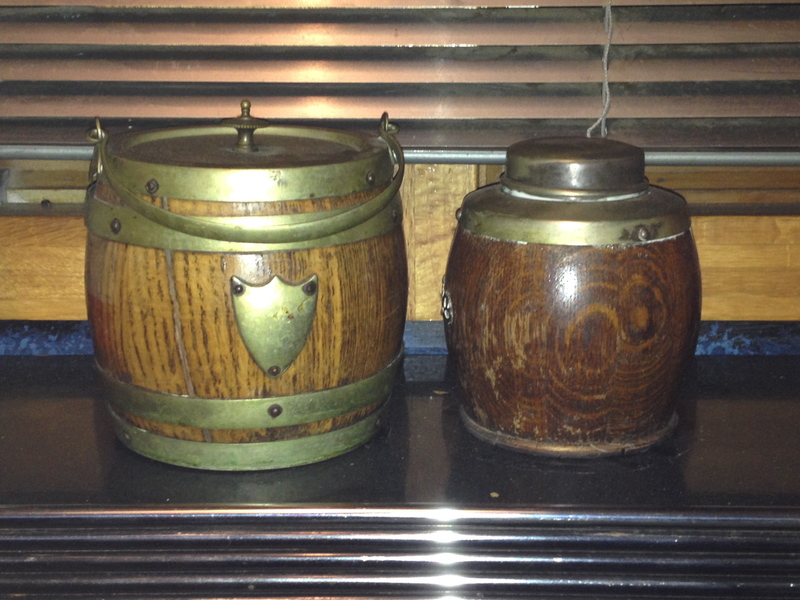 This treasure, left behind by a previous proprietor, was filled with artifacts of Bob’s life. He had created a new-age living style from resurrected butcher carts, discarded old dental office furniture, and various whimsical art deco artifacts and many of Bob’s over-size photographs, oil paintings, watercolors, and much more. 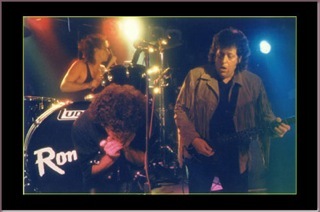 Bob Simons, guitar player with Romantics, pictured on right. 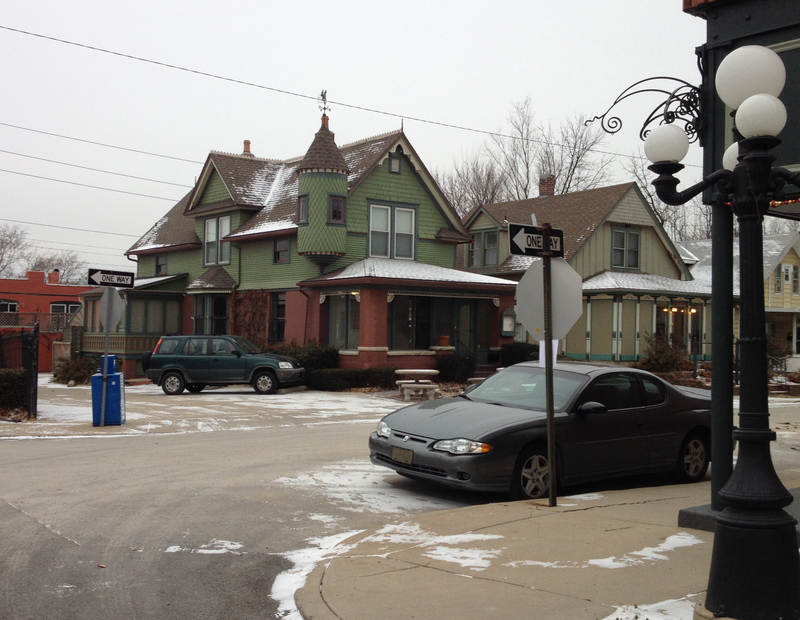 My House the Trading Post, has introduced readers to my home town of Westport, Kansas City. The area boasts a rich history as the oldest established community in Kansas City. More than 150 years ago, Westport marked the passage into the Western Frontier and set the foundation for what it is today. The neighborhood’s historic past is fused with creative individuals, quaint houses, thriving shops, fashionable boutiques, local eateries, and hot night-spots. Bob Simons, is the current owner of the saloon built-in 1853 that served early Westport and the Santa Fe trail. It has been rebuilt to accommodate the practice of law, music, and art-all at the same time. Bob is an attorney at law. He has practiced criminal defense and family law in Kansas City, MO for more than 40 years. He is also a fantastic guitar player who has appeared many times at Starlight Theater, the Uptown, and similar venues with B.B King, Ray Charles, the Romantics, and the like. Presently, he plays pedal steel guitar with Max Groove, New Age Jazz and R&B keyboardist. He also regards himself an artist. He has shown painting, photography, and sculpture from time to time in Kansas City, Santa Fe, Sedona, and Denver. He receives royalties for his photographs displayed in art textbooks written by professor Stone. Students at the Kansas City Art Institute are sometimes introduced to Bob’s interior design style on their spring field trip to our house. At present, Bob finds it more fun to make dollhouses for me and our grandson. I’m goin’ to Kansas City, Kansas City, Kansas City here I come. They got a crazy way of lovin’ there and I’m gonna’ get me some. I’m gonna’ be stand in’ on the corner Twelfth Street and Vine. I’m goin’ to be stand in’ on the corner Twelfth Street and Vine, With my Kansas City baby and a bottle of Kansas City wine. but if I have to walk, I’m gonna’ just the same. I’m goin’ to Kansa City, Kansas City here I come. Everybody in Kansas City has heard that tune. The song was written by Jerry Leiber and Mike Stoller (1952) It tends to be a requirement for local musical bands to be able to play. This past summer (2013) I enjoyed listening to a band play in Danny Cox’s backyard, over on the Kansas City, Kansas, side. Danny, who’s voice can be recognized singing the catchy, Grass Pad Gingle, “…The Grass Pad’s high on grass…” was a Woodstock musician, and is a local t.v. and theater actor. He hosted a house-warming party, after a long remodeling project. A bandstand was built out of planks of wood, and power cords ran the length of Danny’s yard. The vacant lot between Danny’s house and the boarded up house, next door, started filling up with people shortly after, four o-clock in the afternoon. The homes in the neighborhood were built around 1910. Across the street, three small homes with new roofs had residents who were just getting home. A Kansas City treat, to be invited to a house-warming party and get treated to a concert. A group of men from Australia stepped up onto the hand-constructed stage. Their instruments were already on stage. The guitar player slipped the strap of his instrument around his neck. The drummer stepped across the stool with one leg and picked the sticks up off the drums as he sat. A large man stepped in front of the microphone. Soon music was filling the air. The crowd was still growing as guest continued to drive up in decorative Chevrolets, Fords, and Buick low-riders, and parked them in another vacant lot. The Australian band played a good set of Kansas City style blues, with a nice rock beat. However, once the guest band took a break, the crowd went wild when a group of Danny and his friends took stage and warmed up their instruments playing the tune, “Kansas City.” Their next tune was, “La Bamba,” in honor of the hard-working neighbors, who lived across the street, just getting home from work. Kansas City is rich in history, good people, and talent. 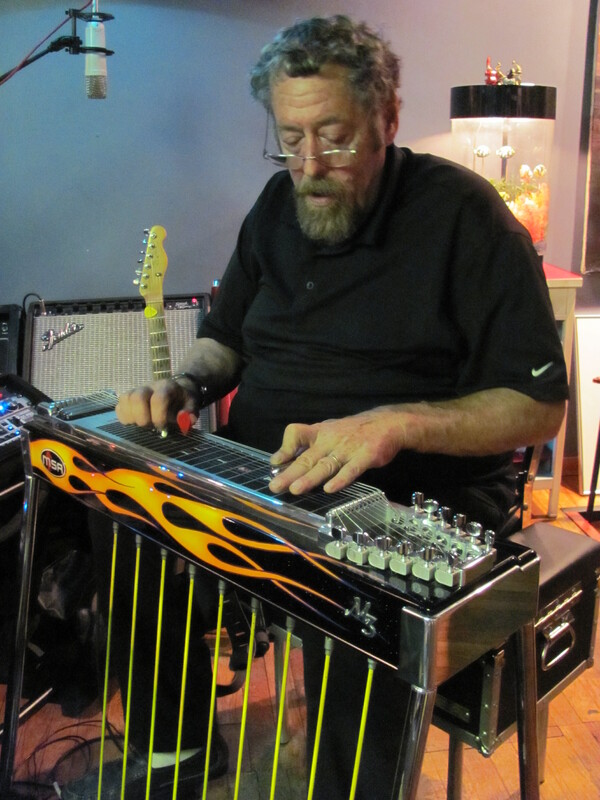 Bob playing pedal steel guitar.